In Lesson Nine you will learn how to measure tall plants such as trees, bushes, and giant sunflowers! Over the summer, garden plants can grow fast and tall! You might want to measure them to see how much they have grown, but some plants like sunflowers can grow very tall. It can be tricky to safely measure something that is taller than you, so you need to think carefully about how to measure the plants and trees in your garden! Watch this video of the world record holding sunflower. Can you answer the following questions? How tall did the sunflower get? The person who grew the sunflower also held the previous two world records. Why do you think he is able to grow such big sunflowers? The sunflower was grown in Germany. How might his garden be different from yours? Can you think of other ways he could have measured his sunflower? 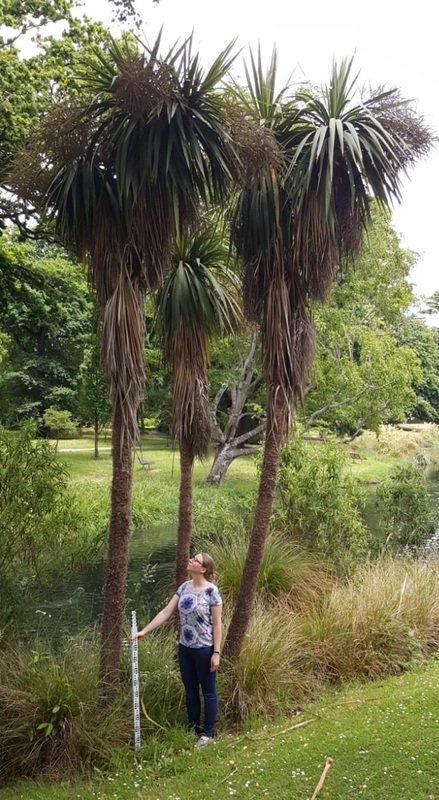 When entering a competition, submitting an entry to the Guinness book of records, or even when showing your friends how big the tree in your garden is, you would need to take a photograph that clearly shows the scale and size of the plant. Two examples of how to include a scale are shown below. Think of all the ways you could show how big a tree, bush, or sunflower is! This tree has grown against a brick wall. We know how tall each brick is from the photograph of a ruler next to a brick. We can use this information to calculate how tall the tree is. In this next picture, a person is holding a metre stick next to a tree. We can calculate the size of the tree by working out how big the meter stick is in the photograph and how big the tree is in the photograph. Complete this worksheet calculating the size of trees using the scales provided. You will need to print out the worksheet, and you will need to use a ruler. The date the sunflower seed was planted. Information about whether the seed was first planted inside or outside. Conditions of the garden where it was grown (e.g. north facing; against a wall). How it compares to other sunflowers grown at your school. A suggestion about how you think it ended up like it did (e.g. really tall; squashed head).